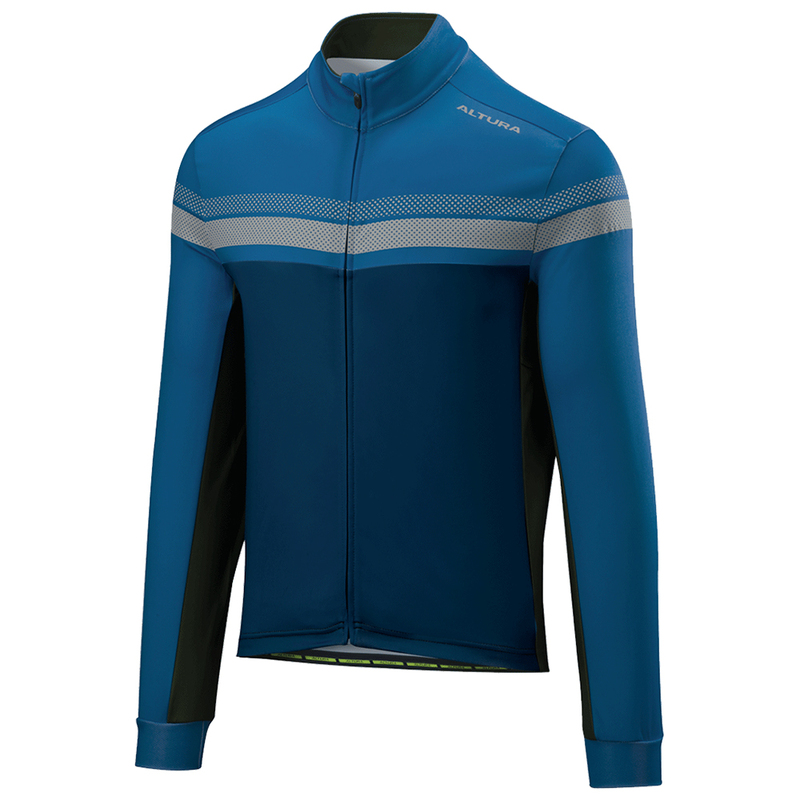 Designed to be used as an outer or mid layer in colder conditions the Altura Nightvision 4 long sleeve jersey combines a 100% polyester brushed thermal fabric with reflective print for added visibility and warmth. The full-length zipper with chin-guard helps to increase breathability and body temperature regulation with three deep rear cargo pockets and an additional zipper valuables pocket to provide ample storage during your ride. A silicone hem helps to retain the jerseys position during cycling prevent the fabric from bunching which in turn helps with rider comfort. A nicely made jacket, size up if you have a classics riders frame rather than a Grand Tour rider, shoulder area is cut small.